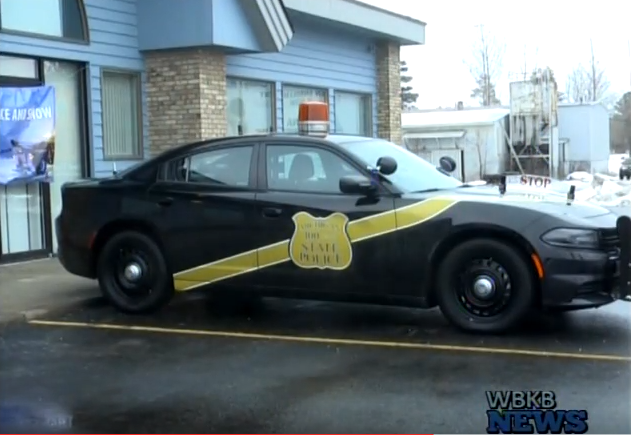 In honor of the Michigan State Police Department’s 100th anniversary, 50 special edition black and gold patrol cars were issued throughout the state. The Alpena Post was one of the lucky ones who received a special edition car. The 2016 Dodge Charger is painted to look like the former 1937 Ford Model 7-4 patrol cars. The 1937 Ford Model was one of the first, and oldest patrol cars used by the Michigan State Police Department. Each post received at least one of the 100th anniversary patrol cars for use of monitoring and to use in community events. “We’re excited about having the anniversary patrol car. The post plans to use the car for upcoming community events and future parades,” Grimshaw said. Each car will remain in the department’s ownership until they reach their maximum mileage. At that time the car will be replaced just like any other patrol car.